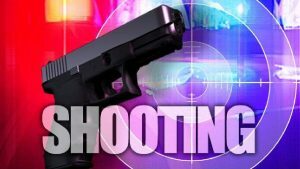 Charles County Sheriff’s Office detectives are seeking information from the public relating to a shooting incident that took place in Waldorf. On Saturday, September 8, 2018, at approximately 11:40 p.m., the victim was walking in the 700 block of University Drive when he was approached by an unknown male. The male stole property from the victim before shooting him. The victim was transported to a hospital with serious injuries and is expected to survive. Anyone with information about the shooting or who lives in the 700 block of University Drive and has home surveillance cameras is asked to contact Detective J. Feldman at 301-609-6474. Tipsters wishing to remain anonymous may contact Charles County Crime Solvers by calling 1-866-411-TIPS. Tips can also be submitted online at www.charlescountycrimesolvers.com or by using the P3Intel mobile app, which can be found in the Android Store and Apple store by searching P3tips. Crime Solvers is offering a cash reward of up to $1,000 for information leading to an arrest in this case. Detective J. Feldman is investigating. This entry was posted on September 11, 2018 at 9:10 am and is filed under All News, Charles County Crime Solvers, Charles News, County, Crime Solvers, Law Enforcement, Top News, z 600X120 Top Ad Bottom, z Police Ad Top. You can follow any responses to this entry through the RSS 2.0 feed. Actually he really didnt get a look at him so I would appreciate it if you didnt jump to conclusions. How do you know so much, yet hide your name? Maybe the victims is related to the person it happened to. Isn’t the victim and the person it happened to, the same person? Good lord we are doomed! DO YOU HEAR ME??!! PEOPLE ARE GONNA DIE!!! WHEN WILL YOU PEOPLE LEARN!!!! Good God man!! Calm down!! People die every single day, it’s simply unavoidable. When it’s your time to go it’s your time. Losing your mind on the internet isn’t going to make this any different. Get well arundel god not ready for you yet continue doing his good deeds big man u are a angel of god and he will continue to shield u. praying for a speedy recovery. The guys names is Arundel and it sounds like she is praying for him…. what did you miss???? I think they meant to say, “Get well Arundel! God is not ready for you yet. You must continue to do his good deeds! Big man, you are an angel of God and he will continue to shield you. I am praying for a speedy recovery”. Yes, I believe that was the intended message, but I am really just guessing. Charles County along with Prince Georges County need to get together with the State of Maryland and redraw the county lines. Placing Waldorf into Prince George’s County. P.G. county talks about how their cri.e rate has dropped. It’s obvious why. All the thugs and other MFer’s have moved to Waldorf. So if P.G. could absorb Waldorf, then they could keep their high crime rates high once again. Peace and protective orders may be obtained from the Charles County Circuit Monday-Friday, 8:30 a.m.-4:30 p.m., excluding holidays. Peace and protective orders may be obtained from the District Court Commissioner, located at the Charles County District Court, on weeknights after 4:30 p.m., weekends and holidays. For more information about filing a peace or protective order, visit our Crime Victims Support page.